If you are preparing your body for successful IVF in 2017, then hopefully you’ve had a chance to read our previous post on the first crucial step: cleansing your environment of toxic products and chemicals that disrupt hormones. After you go through the detox checklist and make a plan for removing those chemicals from your life, we come to the fun part: putting the good stuff back in. There are specific sets of food that will help regulate ovulation, stabilize blood sugar, strengthen your hormones, and that support getting pregnant – even despite PCOS! Getting rid of toxins is crucial, but we can’t stop there—it’s just as important to replace those items with healthy alternatives. 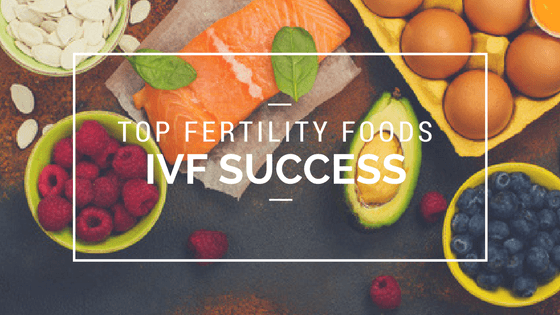 That’s why I created Part 2 of the IVF preparation checklist – Nourish! In this second checklist, you’ll find foods to nourish and nurture your body and foster a healthy environment for conception (and don’t worry, it’s all delicious and nothing too out there!). I tell you what foods to introduce into your diet, and exactly why they support fertility. Click here to download the checklists! Not to mention the overall health benefits of maintaining a healthy weight, providing energy, increasing vitality, and feeling GOOD.